Preschool Preview provides parents and children with the opportunity to learn more about Palatine Park District’s preschool. Preschool staff members will be on hand to answer questions about the program, and children are welcome to attend and explore the classroom. Registration for new students during Preschool Preview will be discounted to $25.00 (regular fee is $50.00). A copy of the child’s birth certificate is required for registration. 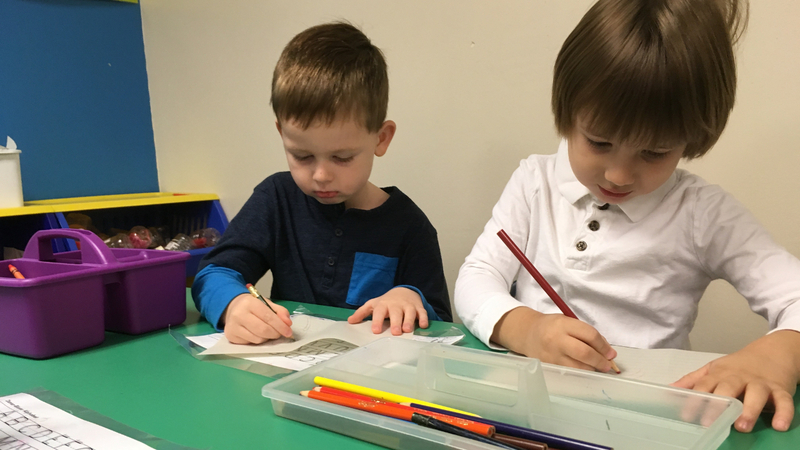 Palatine Park District’s state licensed preschool program for children ages 3, 4, and 5 provides a warm, accepting environment where learning is fun. Experienced teachers offer a variety of developmentally appropriate activities designed to help children learn and grow socially, emotionally, physically, and intellectually. Opportunities are provided to allow each child to reach their potential. Creativity and curiosity are encouraged, helping to foster a love of learning in the students enrolled in the program. Preschool for the 2019-2020 school year will be held from September 3, 2019 through May 19, 2020. Morning classes are available along with lunch enrichment to extend the day for various age groups throughout the week. New student registration for Palatine Park District residents is held in person beginning February 4, 2019 at Birchwood Recreation Center, Community Center, and Falcon Park Recreation Center. Open registration for non-residents will be held beginning February 11, 2019. For complete Preschool Program details including times and fees, visit the Preschool Program section of our site. For program availability, call 847.991.1960. For more information about Palatine Park District Preschool, contact Preschool/Tots Coordinator Karen Rude at 847.496.6239 or krude@palatineparks.org.